Our most versatile cover. A good choice if your boat is often on the move. Great for trailing and storage with mast up or down. 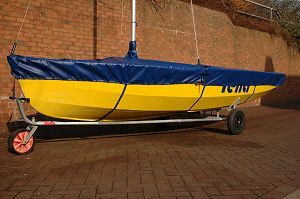 The halyard point in the centre of the cover prevents water gathering.